Before it was covered in the first snowfall, your lawn was lush and green. So, if you find brown spots in your lawn after winter, it’s understandable that you’d feel disappointed. That’s not at all the kind of lawn you’d been missing through the cold months. Sometimes these brown spots are normal, and the grass will soon recover. Yet, sometimes brown spots spell disaster for your lawn, perhaps from salt exposure or poor drainage, and need to be treated. Here’s how you tell the two apart, and what you can do to correct the brown spots. Most lawns in the Denver area are cold-season grasses that start regrowing new green shoots as soon as the weather starts to turn. They may temporarily appear brown as they adjust to the changing season, but this should not last long. If your lawn stays brown for some time, it may be a warm-season grass which prospers in the summer and goes dormant during the winter. Once covered by snow, it’s natural for these lawns to stop growing, and even turn brown. After the snow melts, it will take some time for a warm-season grass to adjust to the water and warmer temperatures, and start fresh green growth again. 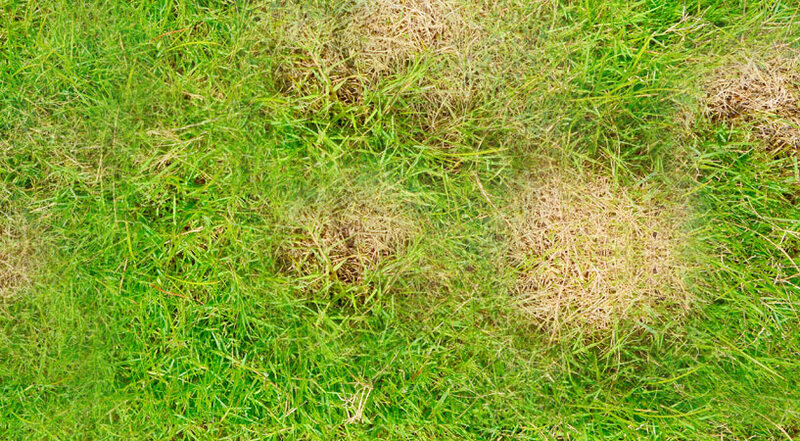 If this is a persistent problem on your lawn, you may want to have it re-seeded with a cool-season grass like Fescue or Kentucky Bluegrass. Also keep in mind that if you experience a short cold snap in the spring, the growth of any grass may be delayed. Fertilize: Your grass may stay brown because its roots have not yet gathered enough nutrients to fuel new growth. Apply fertilizer at least twice a year to ensure your lawn always has what it needs to be healthy. You can deliver fertilizer automatically through your sprinkler system so you don’t forget. Irrigate: Doesn’t your lawn have enough water from all of that melted snow? Sometimes the snow melts quickly and drains away weeks before the spring rains start. 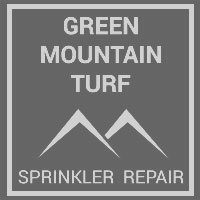 You can combat a dry spring by starting your sprinkler system early, so long as the chance of frost has passed. Not all brown spots are normal. For example, brown spots that appear after winter and are all along the edge of your lawn, near the sidewalk or driveway, may have been caused by salt damage. These areas will not grow back. The brown spots need to be soaked to try to remove residual salts, and then re-seeded. You may get brown spots from other issues, but these don’t usually develop over the winter. If your issue was poor drainage or pests, you probably would have seen signs of the issue last fall. Still, if you can’t figure out why there’s a brown spot in your lawn after winter, poor drainage or pests could be the culprit. In this case, it’s wise to call the professionals to assist you.